Ronald D. Bultena, 70, passed away December 15, at Avera McKennan Hospital in Sioux Falls surrounded by his family. 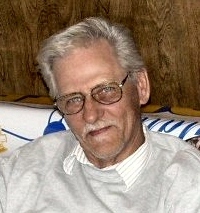 He was born on December 16, 1941 in Lennox, SD to Albert and Tillie (Harms) Bultena. Ron attended Lennox High School. He was united in marriage to Roberta Hendrixson in January of 1960. He worked for Central Supply in Minneapolis and later started an auto body shop. He then moved to Sioux Falls and was a partner at Bob and Ronâ€™s Auto Body. He was a proud member of a Teamsters Union. He began working as a plumber with Howe Heating and Plumbing. He continued with Krier and Blaine Plumbing and Heating. He retired in 2010 due to health issues after a 30 plus year career. Ron enjoyed hunting and fishing in his early years and had a passion for auto body and mechanics. He had a special place in his heart for every child and grandchild. He was a very generous man to his kids and ended all his conversations with â€œLove you, like you.â€� A special thank you to his granddaughter, April Bultena-Winters for the extra loving care she showed Ron when he needed it most. Ronald is survived by his three children: Robin (Al) Motl, Sioux City, IA, Roger (Beth) Bultena and Ryan (Calli Akerman) Bultena, all of Sioux Falls; eight grandchildren, three great-grandchildren; a sister: Loretta Trouten; and a special friend: Sandy Gayken. He was preceded in death by his parents; brothers: Luverne and Roger L; and a sister: Alvena. Visitation will be Thursday, 1:00 PM at Barnett-Lewis Funeral Home with a Funeral Service at 2:00 PM with burial to follow at Mount Pleasant Cemetery.